For 40 years, the Honda Accord has been a best-selling car with excellent performance and a top-notch technological design. 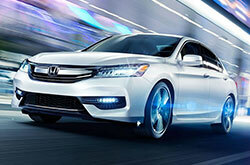 This year, the Accord continues its legacy by introducing a new-and-improved hybrid model available in three trims. 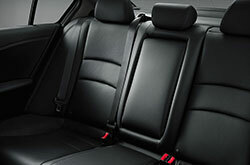 Sports shoppers will love the new Sports Special Edition trim available this year for the sedan. The 2017 Honda Accord in Phoenix also offers state-of-the-art infotainment and safety features, resulting in a safe, comfortable and enjoyable ride that leaves a great impression wherever it goes. This year's Accord maintains the same sophisticated and sleek exterior as its predecessor with an elegant and modern interior to match. 2017 Honda Accord reviews are excited about the Sports Special Edition, which adds a sportier edge to the interior with black leather seating with red stitching and exclusive badges. The standard Accord features climate control, push-to-start, a wireless phone charging dock, an adjustable driver's seat with two saved positions and more in the way of comfort. Users can connect and stream music through Bluetooth or Pandora. Higher trims include more technology features including a 7-inch infotainment system with Apple CarPlay and Android Auto capability, satellite navigation and Honda Link programming. The 2017 Honda Accord in Phoenix has two engine options for the sedan and coupe. Lower trim models have a 2.4-liter 4-cylinder engine. Paired with either a 6-speed manual or continuously variable transmission (CVT), this engine is capable of 185 horsepower or 189 in Sports trims. The EX-L V6 and Touring trims feature a fast 256-horsepower 3.5-liter V6 engine with a 6-speed automatic. 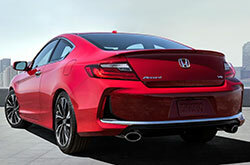 The sedan and coupe models boast an estimated 32/23 highway/city mpg. The Accord Hybrid model is equipped with a 2.0-liter Atkinson-cycle 4-cylinder engine, a two-motor system and a lithium battery that offer a combined 212 horsepower. The hybrid model has an estimated 47/49 highway/city mpg making it one of the most efficient vehicles in its class. 2017 Honda Accord reviews praise its great standard and optional safety features. All models are designed with vehicle stability assist with traction control, braking assist, hill-start assist, SmartVent airbags and a multi-angle rearview camera. 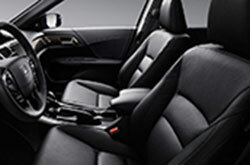 Buyers can also upgrade to the Touring trim or choose additional driver assistance technology. Lane keeping assist, collision detection with automatic braking, adaptive cruise control and road departure alerts work to prevent or lessen the impact of collision. Higher trims are designed with Honda Sensing and LaneWatch, which increase the vehicle's and the driver's ability to sense and see other vehicles. Test drive a 2017 Honda Accord today to experience these premium safety features for yourself. The Honda Accord Is Here! When shopping for new car models in the Phoenix metro area, you may have seen the 2017 Hyundai Sonata, Kia Optima and the Toyota Camry, but the 2017 Honda Accord is also a worthy option. Thanks to its progressive cabin amenities and other aspects, it could end up being a superb match for you. 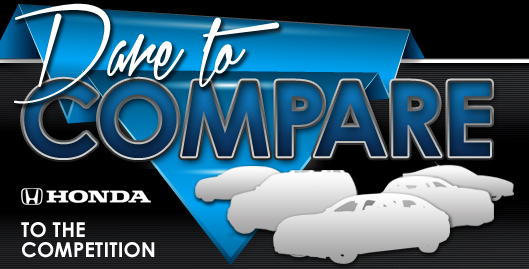 Once you're done with our 2017 Honda Accord review and compare page, check out the latest Honda factory offers and incentives at a local dealer near you. We're a neighborhood Honda vehicle retailer where you can find up-to-the-minute lease offers - not only for the Honda Accord, but also for other new and CPO cars. When buying a car, it's pivotal to make a self-assured choice; that's why we've included this 2017 Honda Accord review the right fit on our site. 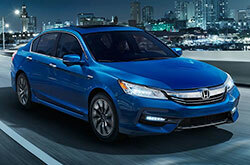 You can find Honda Accord inventory at Showcase Honda - we welcome you to come in for a showing. Are you interested to see it preceding your visit? Check out the enclosed video to view its exterior.